Summary: Public Enemies constantly has you on the edge of your seat, as Mann ratchets up the tension relentlessly. Heeeeere’s Johnny! For all fans of one of the most handsome and charming personalities to grace the silver screen, myself included, Depp is back all guns blazing in this brilliant biopic of iconic American bank robber – John Dillinger, set in the Great Depression. We start off in the middle of a jail-break in 1933, where Dillinger (Depp) removes his cohorts with swift abandon (and a wry smile) out of Indiana State Penitentiary. In the first few minutes we learn much of Dillinger’s persona: fastidious, efficient, loyal, quick-thinking, yet compassionate. We’re in depression; trying times – and boy can we feel it. As Dillinger and his crew run riot, we get a real sense of the era with its classic clubs, cinematic newsreels and downtrodden gentry classes. One can’t help but draw parallels to Heat, Mann’s other masterpiece. We have cops and gangsters, worthy charming adversaries, a cat and mouse game and as always – a great ensemble cast padding up a watertight script. This is a phenomenal movie by any means – rambunctious, fast-paced, charismatic and engaging. 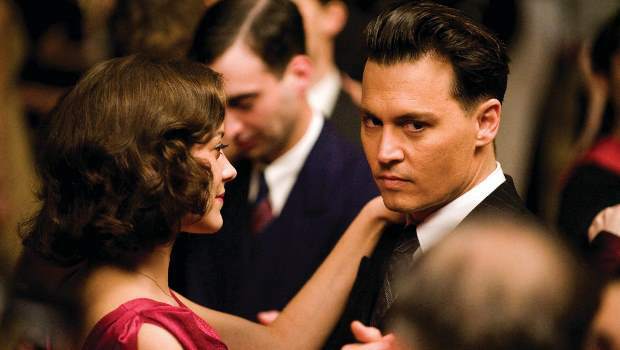 Public Enemies constantly has you on the edge of your seat, as Mann ratchets up the tension relentlessly. It’s a fabulous biopic on a character that has become the fabric of American folklore, that manages to let you see the various facets of Dillinger. As always, no one does a bank heist quite like Mann, but as one of the most under-rated director’s from the West, very few can tell a story as rich and complete as him either.